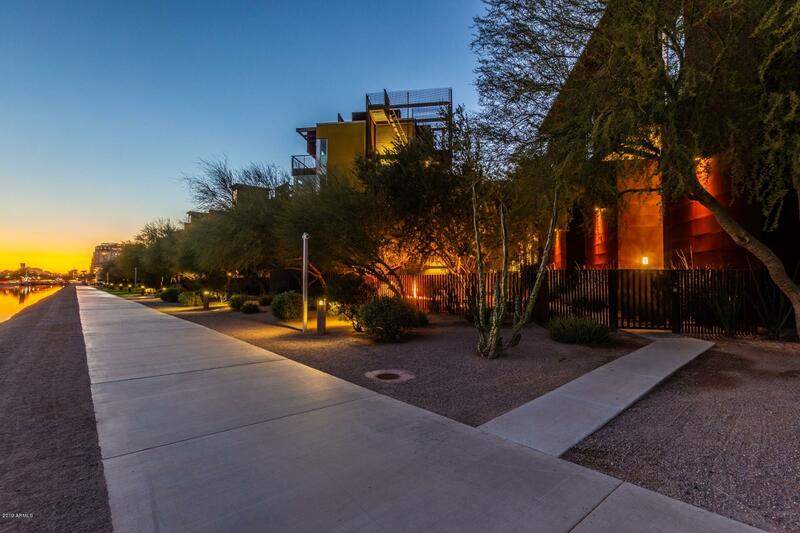 All SAFARI DRIVE I CONDOMINIU homes currently listed for sale in Scottsdale as of 04/25/2019 are shown below. You can change the search criteria at any time by pressing the 'Change Search' button below. 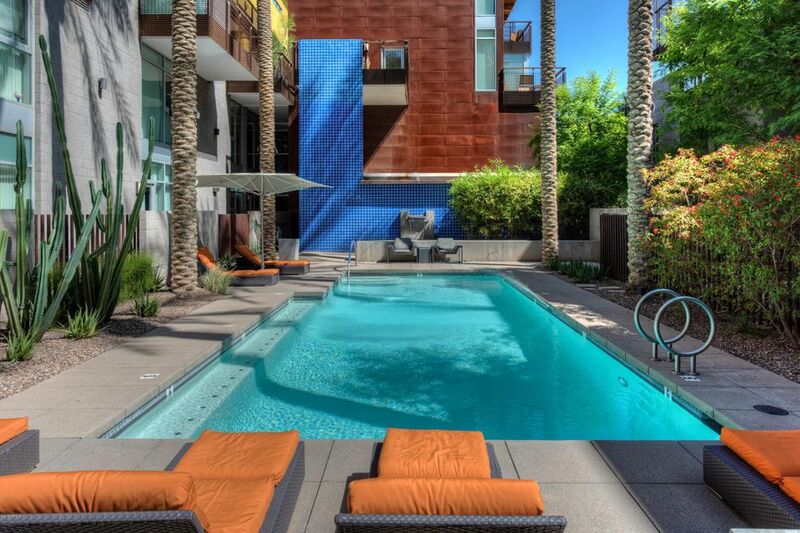 "Urban luxury living in the heart of Scottsdale!! Distinctive contemporary architecture & a location with optimal walkability makes the boutique-scaled Safari Drive unique. Located on the top floor, this residence is quiet, private & light-filled with views of the Zen pool & garden below. 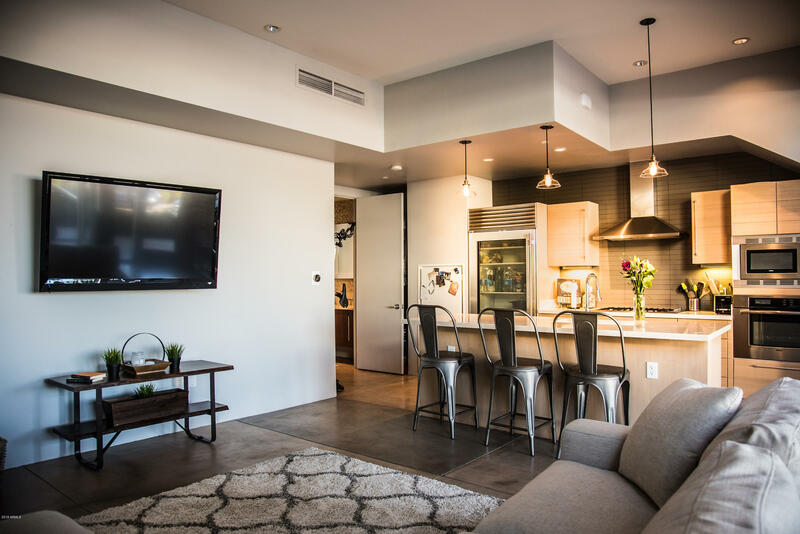 The open floor plan includes floor-to-ceiling glass walls, concrete & hardwood flooring, plank & beamed ceilings and a custom built-in work space. 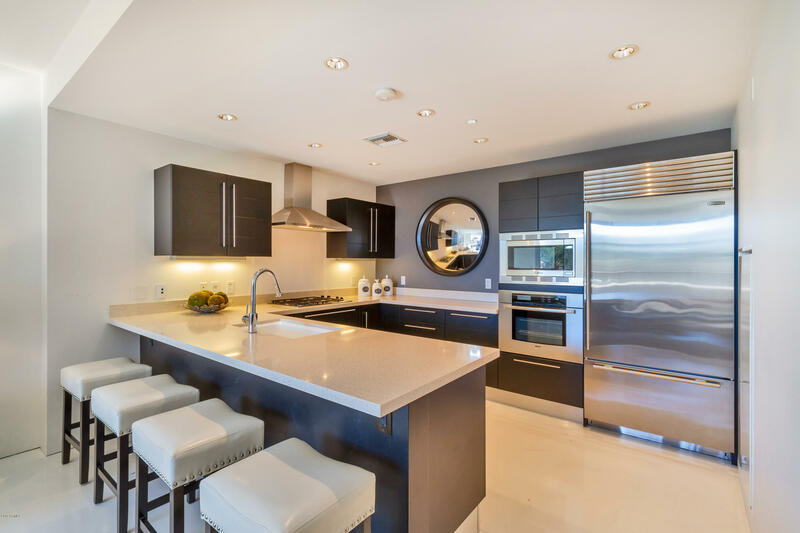 The gourmet kitchen boasts top-of-the-line Scavolini cabinets, "
"Safari Drive is the ultimate luxury lock and leave condo living in the heart of Old town Scottsdale! This urban modern condo, located on the canal, just steps from Old Town and Fashion Square, while still providing privacy and tranquility. This SINGLE LEVEL condo features 2 bedrooms, 1 oversized master with personal patio and full walk in closet and bathroom. The main living space has an open floor plan and large patio with views of camelback. The chefs kitchen has a huge island, sub zero refrig"
"One of the best locations in all of Scottsdale directly across the street from Fashion Square mall. Ideal for an entrepreneur who wants to have a home office with great visibility as the first storefront you see when pulling into Safari Drive. This is also a first floor unit making for ease of unloading and access. Modern interior finishes with well manicured and private grounds." "Here is your opportunity to own in Safari Drive across from Fashion Square!Modern architectural condo with high end designer finishes, soaring 18' ceilings, lots of glass and steel, this is urban living at it's finest! Great for lock and leave, professional, rental or athlete. Most aggressively priced unit and the only end unit like this available! Highly upgraded with custom Wainscoting, Scavolini kitchen cabinets, floating walnut vanities in baths, Botticino limestone, and Quartz counters. Ste"